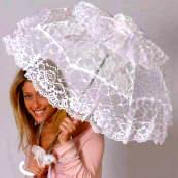 Good for "My Fair Lady"
26" wide 32" long lovely lace ruffle parasol. 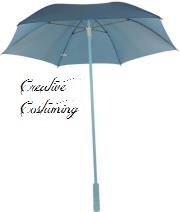 Metal frame with plastic handle. 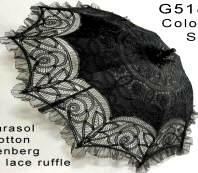 covered with rows of lace. 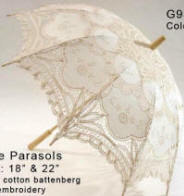 33" wide 26.5" long beautiful lace parasol. 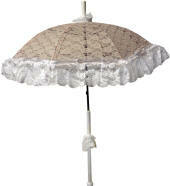 24" parasol with Lace adornments, silver metal shaft & white plastic hook handle. 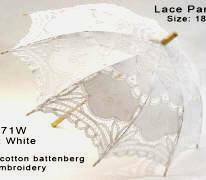 Sheer Lace Parasol w/silver metal shaft & white plastic hook handle. Locks when open but does not lock closed. 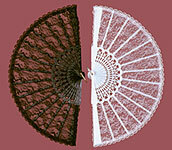 Manufacture has changed this so the lace is not as full as pictured. 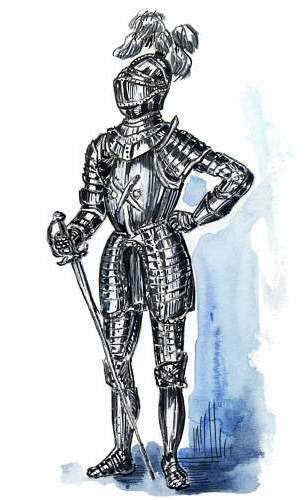 Same as above but with shorter handle. 24" Wide 32.5" Long. 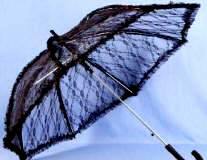 Durable wire frame. (locks open but not closed). 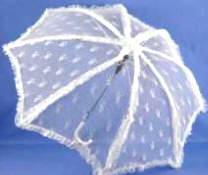 Sheer Lace Parasol (as above) with 2 rows of ruffles around the edge. 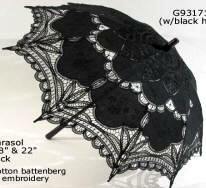 Does not have locking closure. Locks open but not closed. 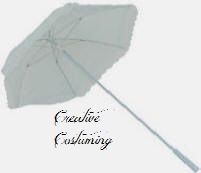 Manufacture says 25" Wide.  We measure as above. Manufacture calls it silk but it is actually Rayon. 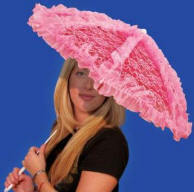 Great Prop for Dancing in the Rain Production. 26" wide wooden frame with lovely floral design on cream colored background. 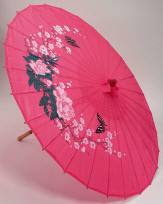 20.5" wooden handle 31.5" wide wooden frame (opened) with lovely floral design on cream colored or red background. 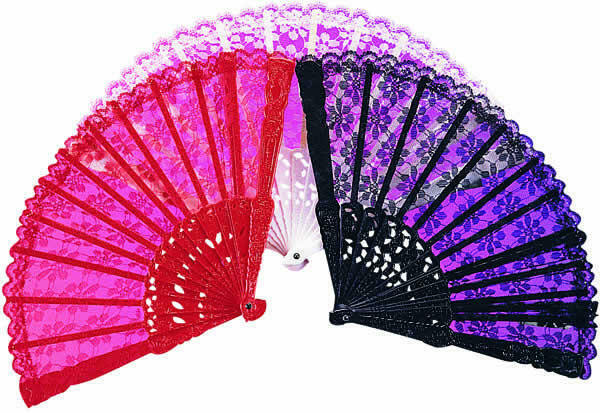 Plastic Fan with nylon lace. 9" High x 14" Wide.